Lt.jg Fred Smallwood. 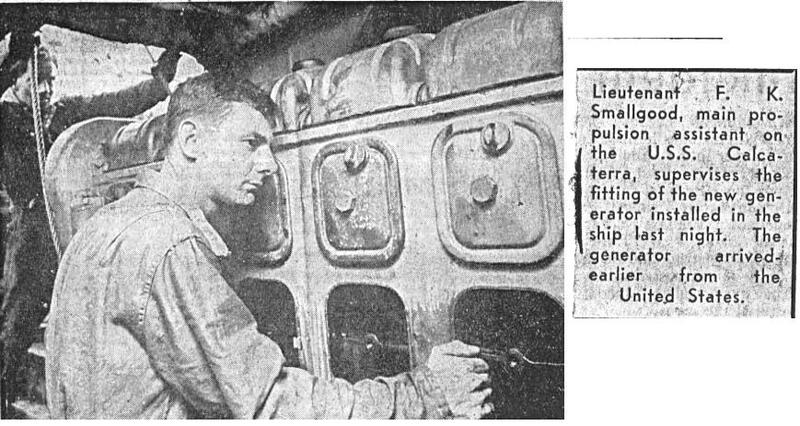 Jan. 1966, newspaper article on USS Calcaterra's generator replacement. Article courtesy of Joe Thorne. Click on image for larger view. 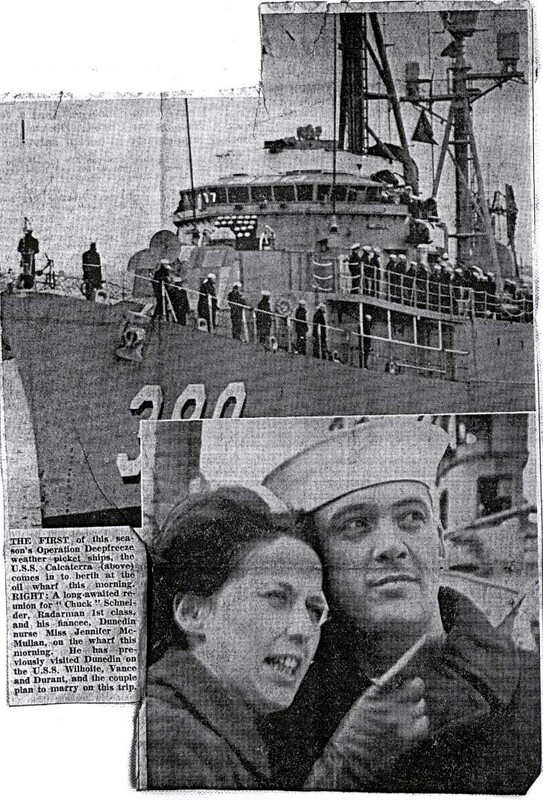 Newspaper article which outlines USS Calcaterra's arrival in Dunedin, NZ, Sept. 1965. Courtesy Joe Thorne. Click on image for larger view. 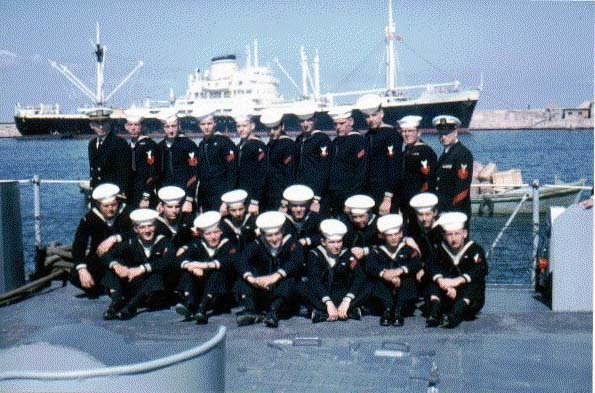 USS Calcaterra, crossing the Antarctic Circle, Dec. 25, 1965. Newspaper clipping courtesy Joe Thorne. Click on image for larger view. 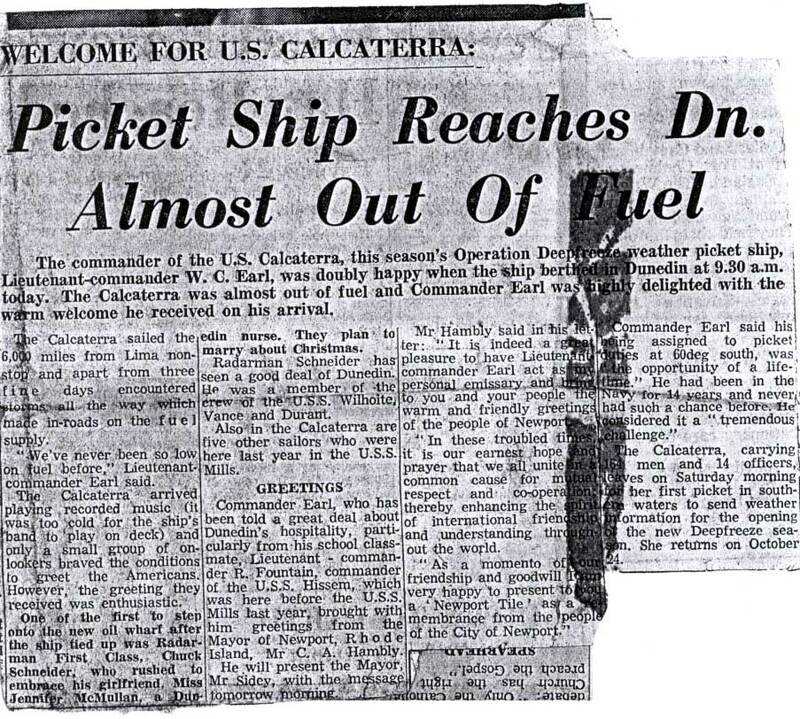 Another newspaper article on USS Calcaterra's Sept. 1965 arrival in Dunedin. Courtesy Joe Thorne. Click on image for larger view.